116: Better To Rise Early Or Be a Night Owl? An Exclusive GTD Virtual Study Group Panel Discussion! In an incredibly exclusive event, I had heavy hitters Hal Elrod, Craig Jarrow, Laura Vankerkam, and Mike Vardy join me in a virtual roundtable to talk about whether it is better to start your day before the sun rises, or wait until after the sun goes down to really ramp up your productivity. This topic has become increasingly more and more popular as so many people are looking to squeeze in as many hours as they can to get things done. In this episode, we talk about the basics of rising early, what the research tells us, what the blogosphere is saying, and most importantly, how to create a successful plan to help you become more productive, more successful, and more passionate about life! Plus, you may be surprised to know that Hal wakes up at 3:30AM -- just and hour and a half after Mike has gone to sleep! There were so many marvelous nuggets of wisdom shared by these very well known folks in the productivity and motivational space. You absolutely need to listen to every minute of this recording to soak in all of the fabulous pieces of advice. Read their incredible bios and at the bottom of this post, you can hit play in the viewer to listen right here! Hal Elrod is the bestselling author of two books: Taking Life Head On! and his new #1 bestseller, The Miracle Morning: The Not-So-Obvious Secret Guaranteed To Transform Your Life... (Before 8AM); and Taking Life Head On! (The Hal Elrod Story): How To Love the Life You Have While You Create the Life of Your Dreams. He's been known as "Yo Pal Hal" since hosting his first radio show at age 15, and he became record breaking sales rep at 19. However, his greatest triumph came in the face of tragedy at age 20 when his car was hit head on by a drunk driver at 70 miles per hour, Hal died for six minutes, spent six days in a coma, and woke to the devastating news that he'd suffered permanent brain damage and would never walk again. Hal defied the odds to not only walk, he ran a 52-mile "ultra" marathon, became a hall of fame business achiever, international Success Coach, Keynote Speaker, and grateful husband & father of two. He was featured in the Chicken Soup for the Soul book series and has shared his story and strategies for success on dozens of TV shows across the country. Hal can be found at http://www.halelrod.com. 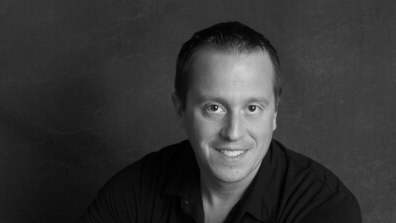 Craig is the author of the extremely popular website, The Time Management Ninja. He was featured in Biz 3.0 as the number 3 most influential productivity guru in the country, just behind Tim Ferris and David Allen. That's pretty damn impressive. He's authored hundreds of articles on time management, productivity tools, and goal setting. He's also the author of three eBooks: 31 Days, 31 Ways: Daily Tips for Time Management Mastery; Crush Your Procrastination and You are Stronger Than You Think - both of those are the best of motivation and productivity tips from his blog. I know that we wakes up way earlier than I can commit to. As Craig puts it, his goal is to help us "win the battle against wasted time, disorganization, and all other things evil…” You can find him at http://www.timemanagementninja.com. Laura is the author of What the Most Successful People Do Before Breakfast which is a compilation of her three popular mini e-books into one comprehensive guide: What the Most Successful People Do Before Breakfast—to jump-start the day productively; What the Most Successful People Do at Work—to accomplish more in less time; and What the Most Successful People Do On the Weekend—to recharge and prepare for a great week. She also authored 168 Hours: You Have More Time Than You Think; and All the Money in the World: What the Happiest People Know About Getting and Spending. She's been interviewed by Matt Lauer on The Today Show, featured on Fox News, Forbes Magazine, FastCompany, CNBC, The Economist, Inc., Time, US News, Fortune ... should I keep going? She can be found at www.lauravanderkam.com. Mike is a writer, speaker, and Productivityist. He is the author of The Front Nine: How To Start The Year You Want Anytime You Want, The Now Year: A Practical Guide to Calendar Management; and The Productivityist Workbook. Mike also co-hosts Mikes on Mics on the 5by5 network. You can find him on Twitter as @mikevardy. He has appeared in SUCCESS Magazine, The Huffington Post, Lifehacker, 99u, was the managing Editor of Lifehack, an editor for The Next Web, and WorkAwesome. Mike has spoken at nearly two dozen different productivity and time management focused conferences, including speaking at TEDx twice, and a creativeLIVE speaker. You can find Mike at http://www.productivityist.com. 117: What Happens When You Veer Off the GTD Path?